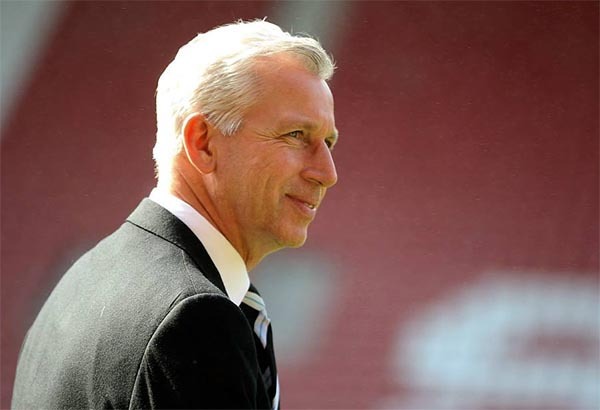 Alan Pardew has claimed that he has to be realistic as speculation grows about his job safety with each extra defeat. The Newcastle manager facing reality will of course make a nice change after some of his outlandish claims in recent weeks. It is a toss of the coin as to which of the last two jaw dropping ridiculous statements was the worst but I think the one after Swansea just edges it. That was when of course Pardew claimed that if he’d been on the touchline he would somehow have stopped Swansea scoring their winner, this just marginally worse than when he bizarrely claimed he was missing ten senior players at Stoke. “When you lose five matches in the Premier League, if you then can’t accept that there will be some speculation about your job, you are not being realistic. “I have to be realistic but I won’t focus away from what I do. if his team don’t ‘put a performance in against Arsenal that we can be proud of’ then we’ll all await with interest the latest ‘realistic’ excuse from the manager.